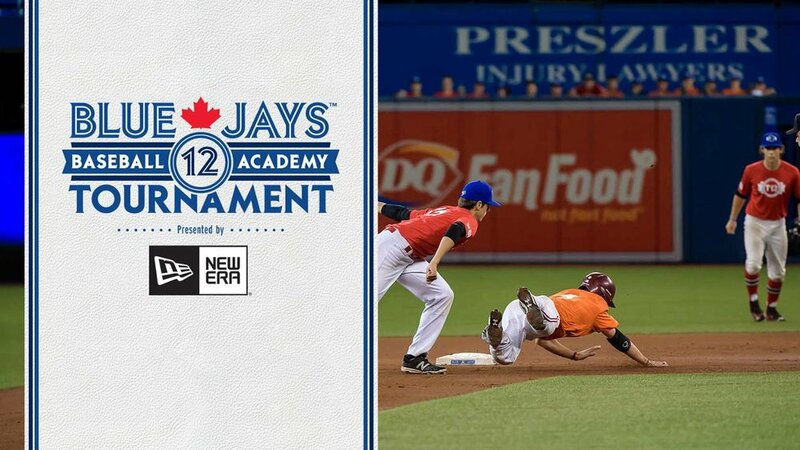 A freshman playing shortstop for one of the top teams in the nation since the first pitch this spring, a sophomore lefty and a freshman right-handed ace headline 12 Canadians whose teams made the NCAA tournament field of 64 schools. First come the regional tournaments, the super regional and eight teams will make the College World Series in Omaha. Coach Mike McRae's Canisius team was a win away from advancing but lost the final two games to the Siena Saints in the Metro Atlantic Conference tourney in Lakewood, N.J.
A total of 10 qualified in 2012, led by the Stony Brook Seawolves with four, there were 17 player in 2011, led by the Maine Black Bears, 15 players in 2010, led by three Georgia State Panthers and three Stoney Brook Seawolves and 18 collegians in 2009 two Gonzaga Bulldogs, Georgia State Panthers, Oklahoma Sooners and Binghamton Bearcats. Now rated third in the county the Virginia Cavillers were No. 1 in most polls for most of the season relying on first-year shortstop Daniel Pinero (Toronto, Ont.). Carlo Campo has more. LHP Ryan Kellogg (Whitby, Ont.) is the anchor of the 2nd-seeded Arizona State Sun Devils rotation. Melissa Couto has more. RHP Cal Quantrill (Port Hope, Ont.) helped the third-seeded Stanford Cardinal gain a berth in its regional. Alexis Brudnicki has more. _ SS Daniel Pinero (Toronto, Ont.) Virginia Cavillers. How they finished: Pinero was hitless in a 7-6 loss to Maryland Terrapins before 3,406 at NewBridge Bank Park in Greensboro, NC in the Atlantic Coast conference tourney. He was hitless in a 3-0 win over North Carolina before 5,783 fans as Virginia moved to 1-1. On the season: For the 44-13 Cavaliers .. Pinero, who used to play for Danny Bleiwas and the Ontario Blue Jays, hit .265 as a freshman starting all 56 games. He had five doubles and 17 RBIs. He was 9-for-11 stealing bases. _ LHP Ryan Kellogg (Whitby, Ont.) and RHP Zak Miller (Surrey, BC) of the Arizona State Sun Devils. How they finished: The Sun Devils finished the Pac-12 schedule with a trip to Pullman, Wash. where John Olerud used to hit line drives and pitch. They won the opener 12-8. Kellogg lost the second game 10-7. He allowed eight runs on 10 hits in 3 1/3 innings before 750 fans at Bailey-Brayton Field. On the season for the 33-22 Sun Devils ... Kellogg, who pitched for Rich and Rob Butler’s Ontario Prospects, was 8-3 with a 3.84 ERA in 15 starts. He walked 18 and struck out 64 in 96 innings ... Miller, who pitched for the Langley Blaze and coach Doug Mathieson, was 1-0 with a 10.95 ERA in five games, making two starts as he walked eight and struck out six in 12 1/3 innings. _ RHP Cal Quantrill (Port Hope, Ont.) Stanford Cardinal. How they finished: The Cardinal finished their regular portion of their Pac-12 schedule with a trip to Salt Lake City before 964 fans at Smith’s Ballpark. Quantrill pitched eight scoreless in the opener a 5-0 win over the Utah Utes. He allowed four hits, walked two and struck out 10 in his 120 pitch outing. And in the finale Stanford won 3-2. 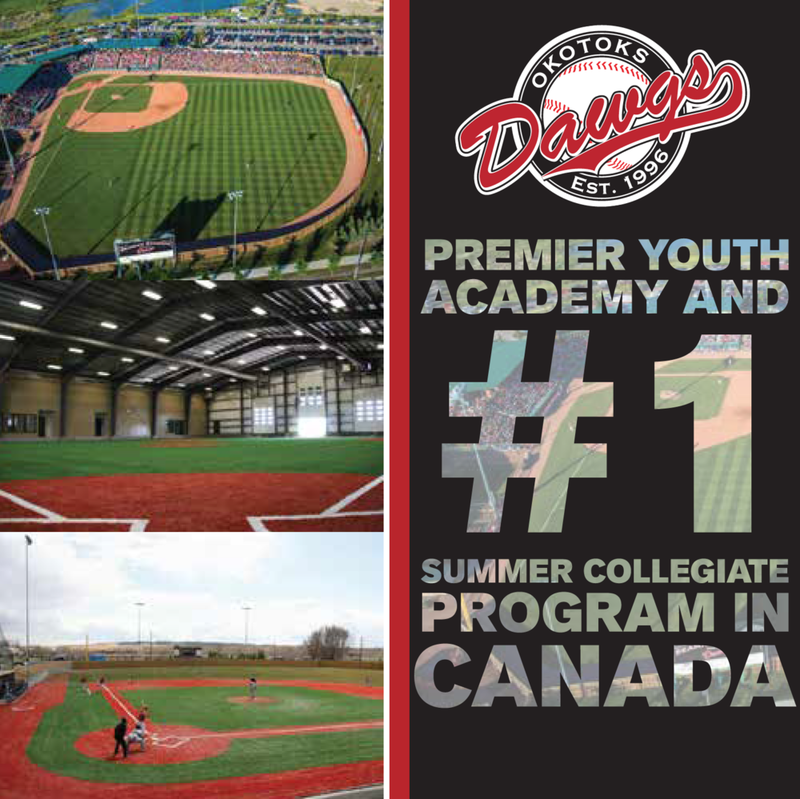 On the season: For the 30-23 Cardinal ... Quantrill, who pitched for the Ontario Terriers and coach Scott Van deValk, is 5-5 with a 2.92 ERA in 15 starts. He walked 29 and fanned 84 in 91 1/3 innings. How they won: Leading off he was 0-for-1 and knocked in a run in a 5-2 win as top-seeded Bryant Bulldogs knocked off 4th-seeded Wagner Seahawks at Dodd Stadium in Norwich, Conn. He was hit by a pitch to load the bases in the third, he was plunked again leading off the sixth and hit a fly ball to score the final run of the three-run seventh. He was hitless as Bryant scored twice in the eighth and once in the ninth to edge 2nd-seeded Central Connecticut Blue Devils 3-0. And in the final, Mountford was dominant ... just like last year when he earned tourney MVP honours. He was 3-for-5 as Bryant scored four runs in the top of the 12 for a 6-2 win against the 3rd-seeded Sacred Heart Pioneers. He singled and scored in the first, flew out in the second, struck out in the fourth, walked and stole second in the seventh, singled to right in the 10th and singled on a chopper through the right side to open the decisive 12th. He raced to third on a throwing error and after an intentional walk was thrown out at the plate. The next man hit a three-run triple. On the season: Mountford, who earned 2013 all-Canadian Canadian Baseball Network Third Team honours, and played for the Terriers and coach Danny Thompson, hit .312 with seven doubles, four homers and 25 RBIs in 36 games. He takes an .882 OPS into the tournament. _ OF Joey Guaragna (Mississauga, Ont.) Old Dominion Monarchs. How they finished: The Monarchs dropped the opened at Middle Tennessee State at the Conference USA championships at Pete Taylor Park in Hattiesburg, Miss. Guaragna doubled in two runs in the fifth inning a 3-2 victory over the Florida International Panthers (36-20). Old Dominion coach Chris Finwood told reporters: “We get a big hit from (Guaragna), making his first college start. Sometimes in a college tournament, those things have to happen ... Joey’s a great kid, a talented kid. He’s just playing behind some older guys right now and hasn’t had a lot of opportunities. He found out he was starting about 15 minutes before game time. He had some tough at bats early on, but he gets the double for us to take the lead.” Next they beat top-seeded Rice Owls 3-2 to force a finale and Old Dominion lost 7-5 to Rice. On the season for the 40-18 Monarchs ... Guaragna, a freshman who played for the Ontario Blue Jays and Bleiwas, hit .100 in 11 games with a double and two RBIs. _ 1B Ryan Pidhaichuk (Richmond, BC) Kansas Jayhawks. How they finished: He doubled in a 10-9 loss to West Virginia Mountaineers in the opener of the Phillips 66 Big 12 tournament at the Bricktown Ballpark in Oklahoma City, Okla. Bunted a man over as Kansas scored in the second and was hitless in his other at-bat in a 4-3 loss to the Baylor Bears. On the season: Pidhaichuk, who played for the Fraser Valley Chiefs and coach Dennis Springenatic, hit .213 with four doubles, a triple, a homer and 12 RBIs in 50 games. _ OF Jeremie Fagnan (Calgary, Alta.) TCU Horned Frogs. How they won: TCU opened with an 8-5 win over the Baylor Bears at the Bricktown Ballpark in Oklahoma City, Ok.
TCU advanced to the final with a 4-1 win over Baylor in front of 4,474 fans. And in the final the 12th-ranked Horned Frogs beat the 7th-ranked Oklahoma State 7-1 in front of 7,686. He did not have an at-bat in the tourney. On the season: Fagnan, who played for the Vauxhall Academy Jets and coach Les McTavish, hit .203 with a double, two homers and 11 RBIs in 28 games, with a .634 OPS. During the season, he singled in a pair of runs in an 8-0 win over West Virginia. He went deep with a two-run homer in an 8-0 victory over the Dartmouth Big Green and a two-run homer in a 6-2 triumph against the Michigan Wolverines. _ LHP Zach Mayo (Mather, Man.) North Dakota State Bison. How they won: The 4th-seeded North Dakota State beat the top-ranked South Dakota Jackrabbits 4-3 before 1,654 fans at Sioux Falls Stadium in Sioux Falls, SD. RP J.D. Moore (Mississauga, Ont.) recorded the final four outs without allowing a run, as he walked two and struck out a pair for South Dakota. Next, they knocked off 2nd-ranked Western Illinois Leathernecks 6-1. And in the Summit final blanked Western Illinois 9-0. On the season: Mayo, who pitched at Vauxhall for McTavish, didn’t have a record appearing in seven games, including two starts. He had a 3.76 ERA. He walked 10 and struck out 11 in 11 2/3 innings. Mayo’s last two outings were a one-inning outing May 10 against the Winnipeg Wesmen and an April 29 four-inning start against North Dakota. He allowed a single to Tony Ingram, walked two and hit a man, allowing two earned runs in an 11-3 North Dakota win. Against North Dakota he worked four scoreless innings allowing two hits and three walks, while fanning a pair. He threw 69 pitches 37 for strikes. _ RHP Riley Coverdale (Puslinch, Ont.) George Mason Patriots. How they won: The 3rd-seeded Patriots opened the Atlantic 10 tourney with a 4-3, 11-inning win over the 6th-seeded Dayton Flyers before 203 at the Billiken Sports Centre in St. Louis, Mo. Next came a 5-4 win over the 2nd-seeded Saint Joseph’s Hawks. Then, George Mason edged the 4th-seeded Virginia Commonwealth Rams 3-0. And in the finale the Patriots scored a 3-2 win in 10 innings. Coverdale did not pitch in the toruney. On the season: Coverdale, who pitched for the Etobicoke Rangers and coach Denny Berni, was 1-0 in 10 relief appearances with a 10.64 ERA, walking 10 and striking out five. His last two outings were April 23 in a 13-4 loss to the Maryland Terapins and April 8 when he pitched two innings in an 11-0 loss to Maryland. Coverdale allowed five runs in 2/3 of an inning on one hit and four hit batters in his last outing. Coverdale allowed two runs on three hits and one walk. His win came when he worked a scoreless 11th and 12th as George Mason edged the Wichita State Shockers 5-4 in 13 innings. He allowed two hits and walked two, while striking out one. _ INF Kyle Hann (Oakville, Ont.) and OF Jacob Robson (Windsor, Ont.) Mississippi State Bulldogs. How they finished: Mississippi State opened the SEC tourney with a 5-4 win over Georgia Bulldogs and then thumped the South Carolina Gamecocks 12-0. Next the Bulldogs lost 7-6 to the Kentucky Wildcats and lost 5-1 to the Florida Gators. On the season ... both Hann and Robson, who played for the Ontario Blue Jays and Bleiwas, were injured early. Hann hit .100 with one RBIs in 12 games ... Robson batted .063 in 18 games. Both have applied for medical red shirt status.